As an OSRAM business, Digital Lumens is driving the industrial IoT (IIoT) revolution by providing superior software, smart sensors, and system integration. Its cloud-based intelligence platform, SiteWorx, brings the tangible benefits of the IIoT to manufacturing, logistics, and other industrial environments worldwide, and leverages the power of intelligent, connected lighting and wireless IoT sensors to deliver business intelligence from a unique vantage point—overhead. Its IIoT solutions have been deployed across nearly 500 million square feet of space, and and delivered proven results for real-world clients in 45 countries. For additional information, please visit www.digitallumens.com. 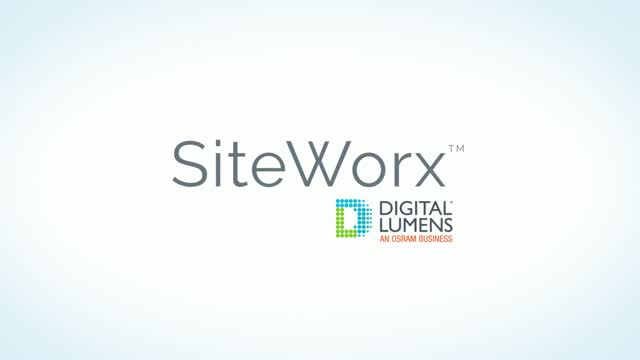 Discover how Digital Lumens’ innovative SiteWorx Industrial IoT (IIoT) technology combines connected lighting, industrial sensors, and advanced software to control and optimize energy usage, monitor and maintain peak environmental conditions, or track and leverage occupancy data to hone operations. With SiteWorx, it’s easy to customize, launch, and expand sensor-based IIoT solutions that improve cost efficiency, productivity, and safety across industrial and enterprises of any size. Learn how Digital Lumens intelligent LED lighting supports California's Title 24 Building Energy Efficiency Standards. Join us on September 20th to learn how intelligence can be used to improve your building and overall business. Hear from Procurement and IT managers at Liberty Hardware as they share their experiences on transforming their facility with networked lighting. California’s Building Code, Title 24, sets high standards for energy savings and is quickly reshaping the lighting industry as we know it. By 2030, all new non-residential construction will require zero net energy. Additionally, Title 24 compliance may be required in existing non-residential buildings in the event of certain lighting alterations.